How pretty is Nikita's glammed up book cover?!! I am in love with it! I think, we crafters can never have enough boxes to store all our magic tools. Atleast I don't! Every-time I sit down to organize my craft supplies I always feel the need to buy more and more boxes for storage purposes. But when you see such awesome inspirations as our DT member, Nikita, displayed here, it only opens up numerous possibilities to make some of your own storage ideas with the stuff lying around in your house! 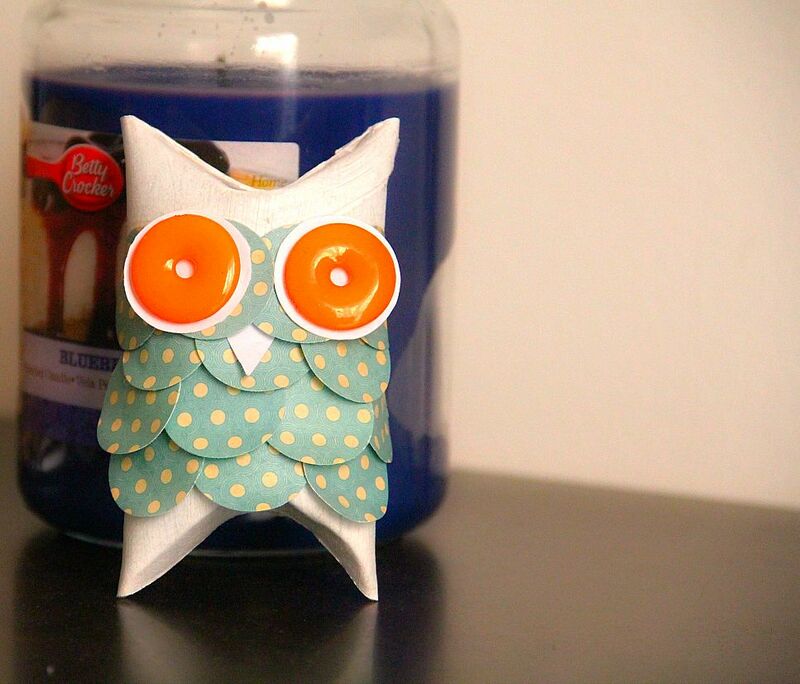 into this cute little owl! How cute are his eyes?! hehe..
Firstly I painted the tissue roll with white acrylic paint.. I layered it with two coats to give it an opaque look. 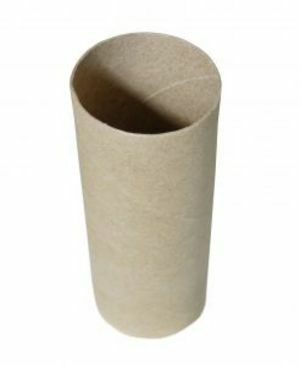 I later pinched the top and bottom of the roll and glued it together using a strong adhesive. Embellish your little owl however you want.. you may even draw or paint on it if you are not a big fan of punch craft..
this is so cute.... love it... would look great as a car hanging...!! Really cute. And superb idea to use it as a car hanging. Thats sooo cute and adorable!!!! Sure a superb car deco and can also be an absolutely marvelous Halloween deco!!! Thanks for sharing the idea! good one. But thats not ur idea making this with toilet roll. on internet load of people have done this. u have not even provioded any links where they are already existed on internet.